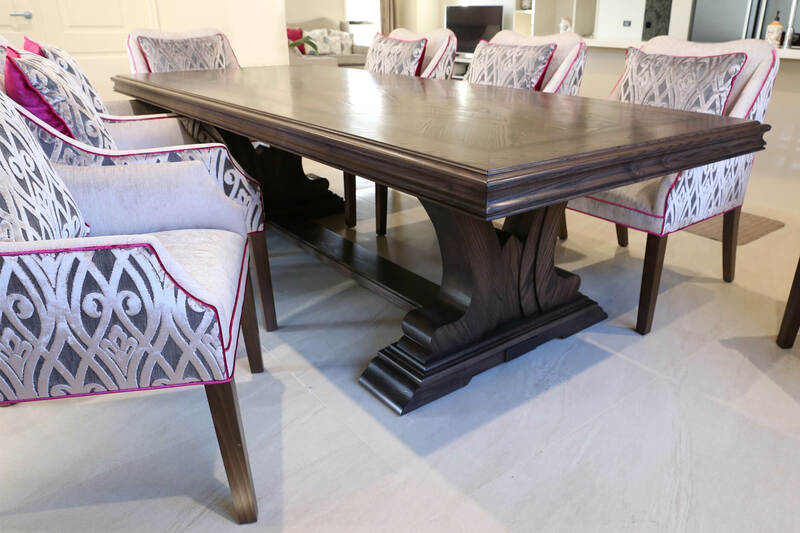 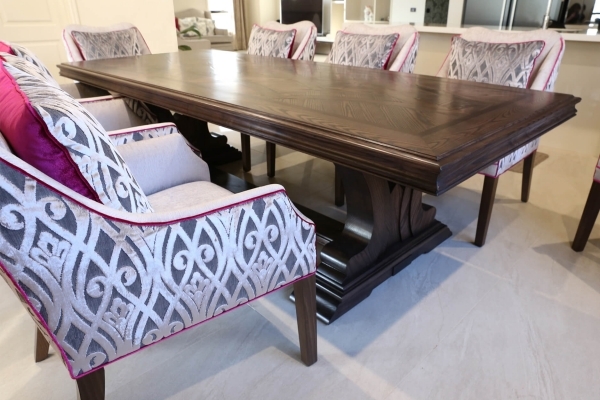 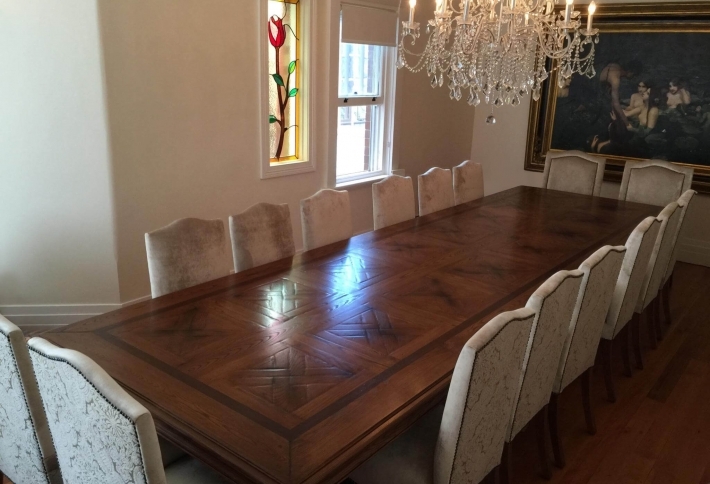 Custom designed dining table features a one of a kind pedestal base with a French Contemporary feel. 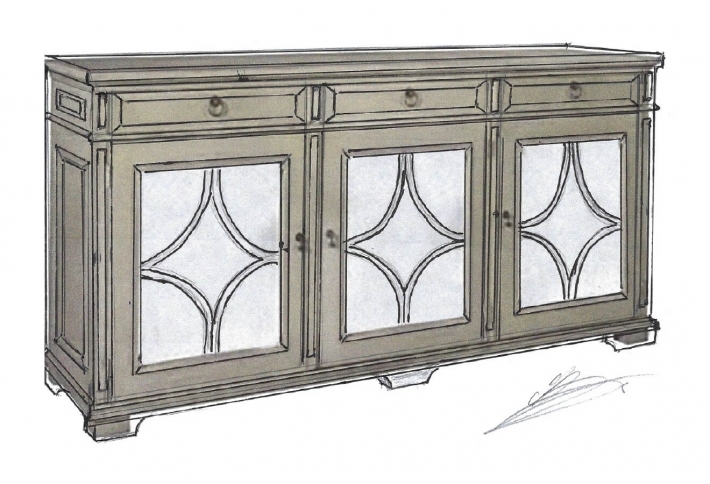 Base custom designed with fluid curves and elegant shapes. 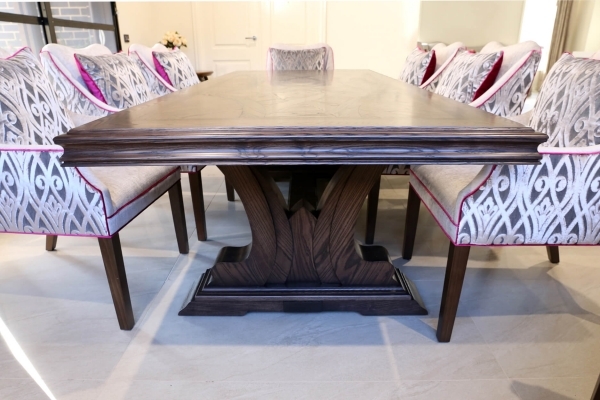 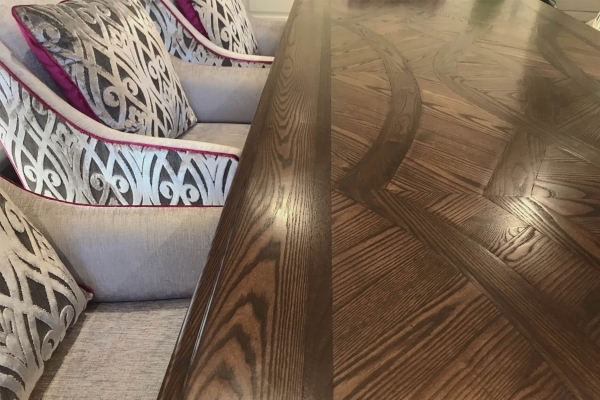 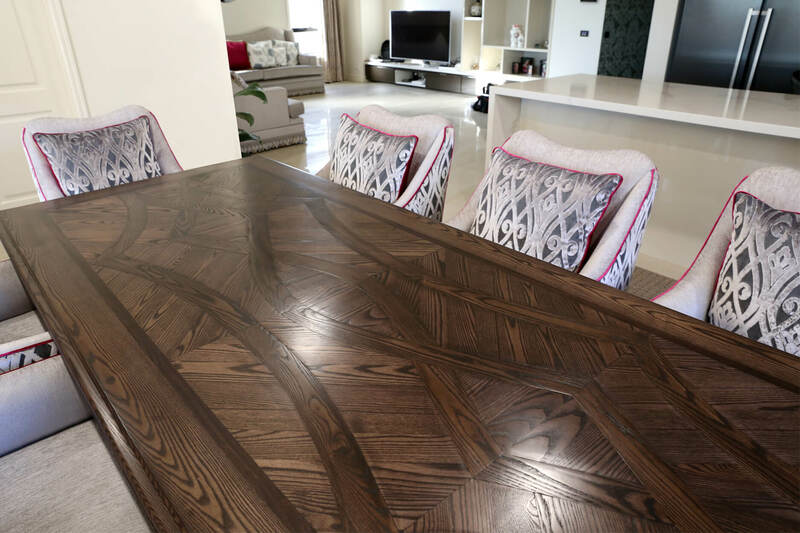 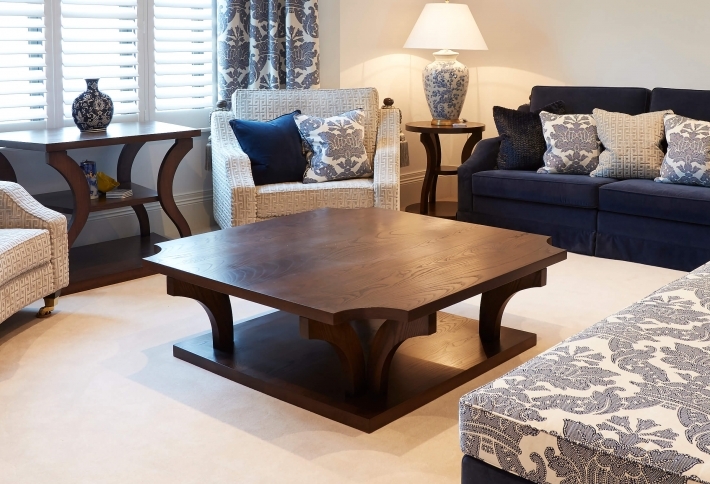 Table as shown showcasing hand crafted curved parquetry top with contrasting walnut inlays.